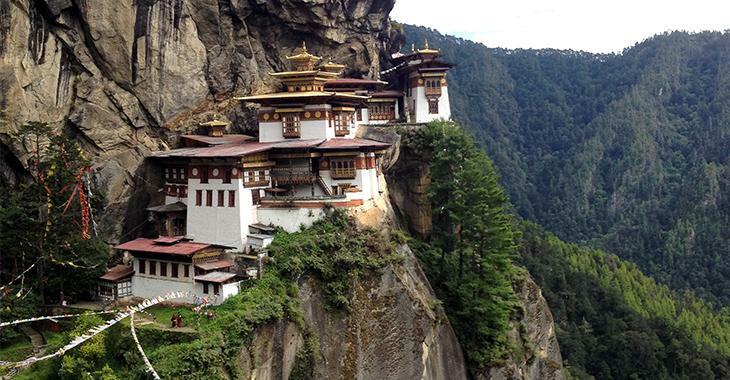 The Taktsang Monastery Paro or The Tiger’s Nest is one of the most famous monastery in Bhutan. Not only from religious but also from architectural perspective. 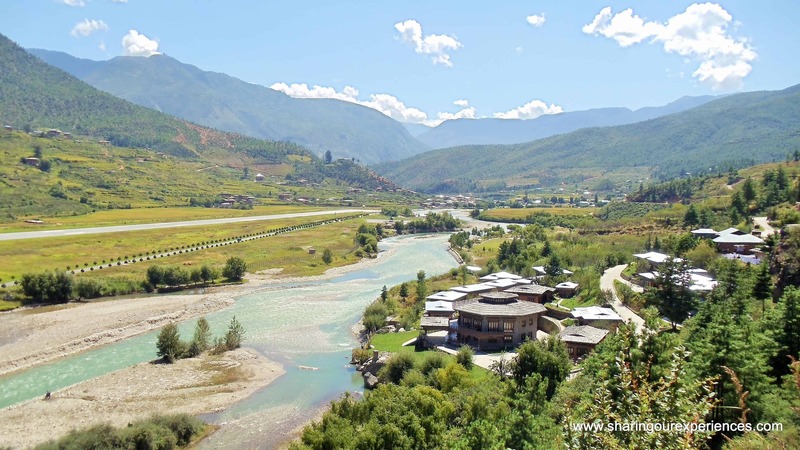 It is Bhutan’s most iconic landmark and religious site. The Taktsang monastery is one of the main monasteries that contributed to start of Buddhism in Bhutan. The second Buddha is said to have meditated here. 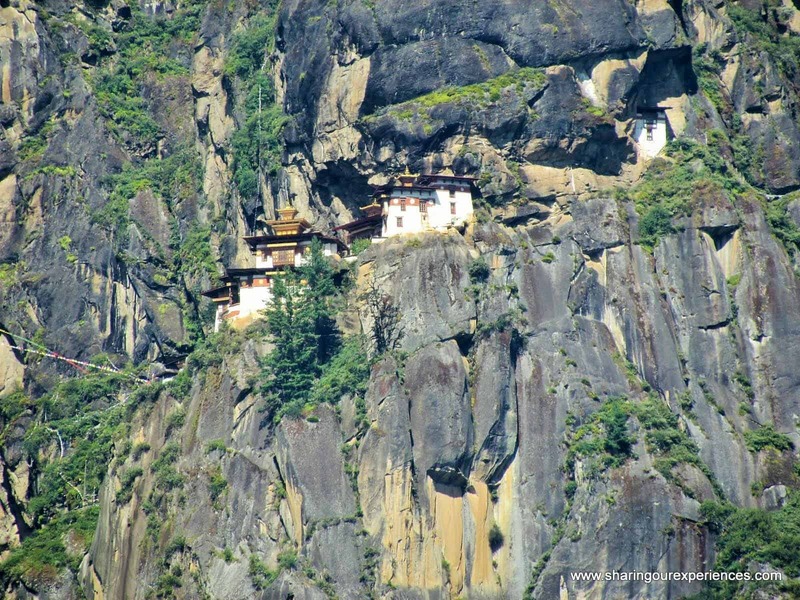 The name Tiger’s nest alludes to the legend that Guru Padmasambhava (Second Buddha) also known as Guru Rinpoche flew to this location from Tibet on the back of a tigress. He is said to have meditated in the cave for 3 years, 3 months, 3 days and 3 hours in order to subdue evil demons residing within it. Legend has it the tigress actually was Yeshi Tshogyal, a consort of Guru Rinpoche, who had transformed herself into the fearsome animal to subjugate spirits. The cave has been considered a sacred site ever since and many famous saints have travelled to meditate in it. Architecturally, this place is a marvel. It seems to be hanging on the edge of mountain cliff thousand meters above Paro valley defying all laws of gravity. Taktshang clings to the rock towering 800 meters (over 2,600 feet) above the valley, and is located 2,950 meters (9,678 feet) above the sea level. This monastery consists of 4 main temples and several dwellings. The complex has white buildings with golden roof. All buildings are interconnected by staircases carved into the rock. Almost all buildings of the monastery complex has a balcony offering breathtaking view of surrounding mountains and picture perfect valley. When you look at this monastery from the bottom it seems impossible to be able to reach there. Reaching this monastery will require you to trek for almost two to three hours from the road at Ramthangkha, 12 kilometers from Paro town. You can also choose to ride a pony to cover two thirds of the distance. There is no way that you can reach this monastery without trekking. Though the trek itself is an unforgettable experience as it will offer you amazingly beautiful views of the surrounding area. Be prepared for the trek. Dress in layers, carry some food and water and last but not the least carry a camera. Though you will not be allowed to use your camera inside the monastery. Don’t you find this place interesting and beautiful ? Try it and let me know using comments below. Would love to hear from you. That view looks gorgeous. So I can imagine the beauty that awaits on the trek. 🙂 I went to your travel archives, and this was the post that called to me. Possibly because of that featured photo. Thank you for sharing!